Trey Gowdy seems to be taking the same strategic tact as Trump did when the President said he thought Mueller would treat him fairly, nevertheless, Gowdy is a man on a mission. "The ranking Democrat on the House Intel Committee had evidence of collusion before we interviewed our very first witness. Almost 60 Democrats voted to move forward with impeachment already. Before Bob Muller has released a single finding, before the House Intelligence of Senate Intelligence committees have released a single solitary finding, almost 60 House Democrats think the President should be removed from office and Adam Schiff says he has evidence of collusion." 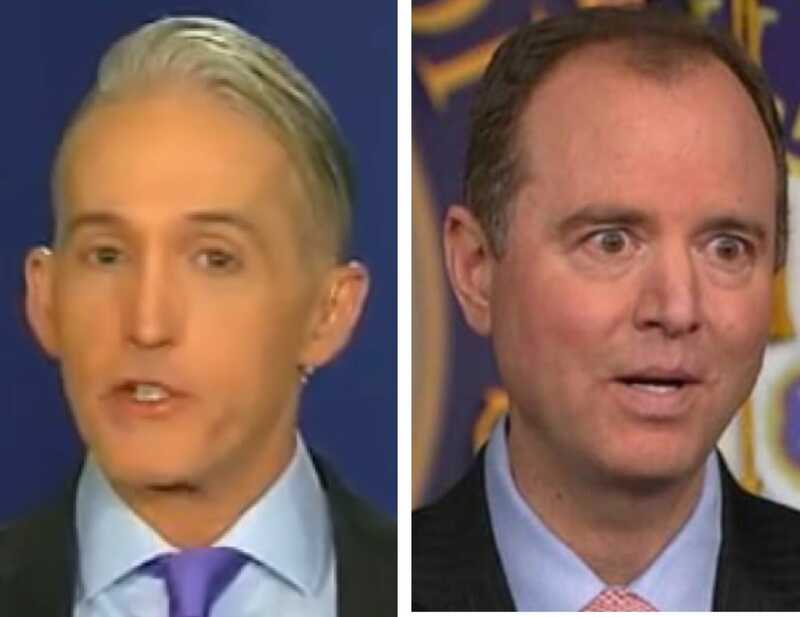 House Intelligence Committee ranking member Adam Schiff has come under fire from South Carolina Rep. Trey Gowdy on accusations that the California Democrat is prejudging special counsel Robert Mueller’s Russia probe before it even has a chance to truly begin. Schiff recently claimed to have seen “more than circumstantial evidence” regarding collusion between the Trump presidential campaign and Russia in addition to circumstantial evidence that he deemed was worthy of an investigation. However, during a conversation on “Sunday Morning Futures” with host Maria Bartiromo, Gowdy — a member of the intelligence committee — called out the California Democrat with a few statements of his own. As noted by BizPac Review, Gowdy was quick to highlight how the comments made by Schiff came even before a witness has been called to testify in the case, while also noting that Schiff is only seeing what he wants to see, rather than the possible truth. “Some of my Democratic colleagues, namely Adam Schiff, said he had evidence, more than circumstantial evidence of collusion, before the investigation even began,” Gowdy said. Gowdy also suggested that something within Congress is amiss when dozens of Democrats are lining up to impeach the current president without any evidence officially being put forward from Mueller’ and his team. Gowdy emphasized his surprise that Democrats in Congress are not more curious about certain decisions some of America’s top prosecutors and its chief law enforcement agency (the FBI), have made, suggesting that much of the ridicule and questioning is focused solely on Trump. However, Gowdy also insisted that Mueller will make the proper decision after everything is said and done regarding the case.